Posted on August 17, 2012 August 21, 2012 by Curt O. The FlightGear development team is happy to announce the v2.8.0 release of FlightGear, the free, open-source flight simulator. This new version contains many exciting new features, enhancements and bugfixes. V2.8.0 includes improvements making FlightGear world more realistic than ever before. Placement of random buildings and trees match the underlying terrain texture, and urban areas now have denser random buildings. Textures can be region specific, and users can select between summer and winter textures in-sim. An improved atmospheric scattering and terrain haze model means the lighting of the terrain is more realistic. Finally, a new automated system is now available for scenery submissions that automatically get rolled into the scenery distribution to be enjoyed by everyone. A very exciting new addition is “Project Rembrandt”. This is still considered experimental and not enabled by default. This enables real-time shadows, and support for multiple light sources such as landing lights. Even rotating beacons illuminate the surroundings correctly. 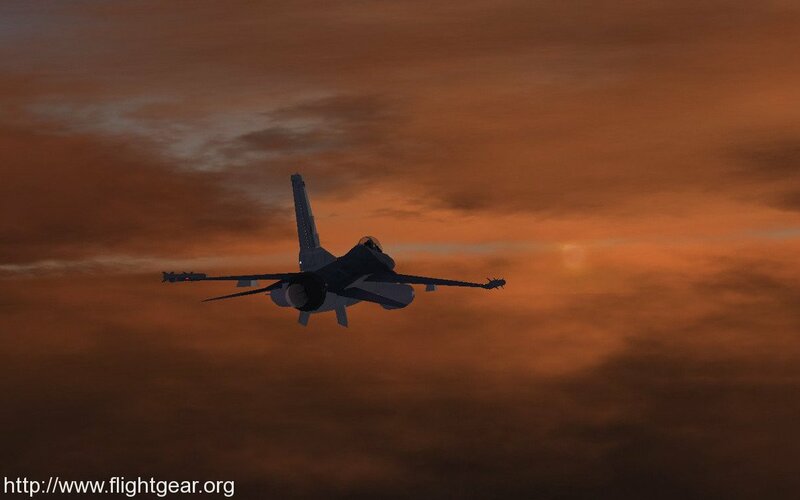 Founded in 1997, FlightGear celebrated the 15th anniversary of it’s first official release in July. 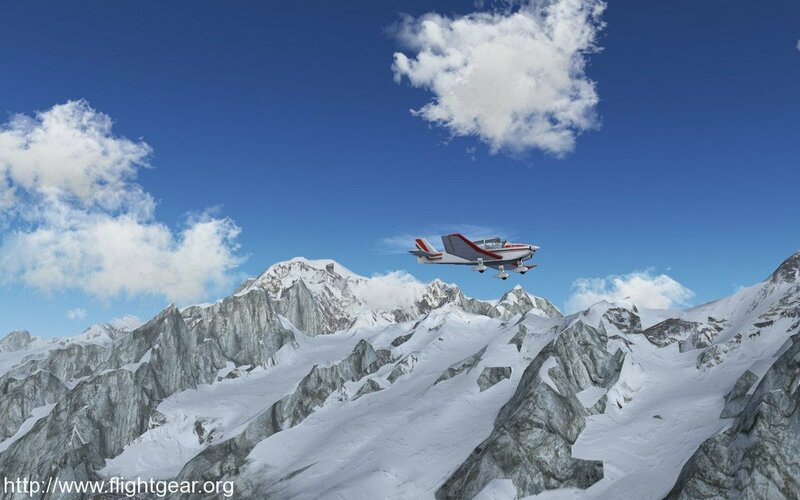 FlightGear is developed by a worldwide group of volunteers, brought together by a shared ambition to create the most realistic flight simulator possible that is free to use, modify and distribute. 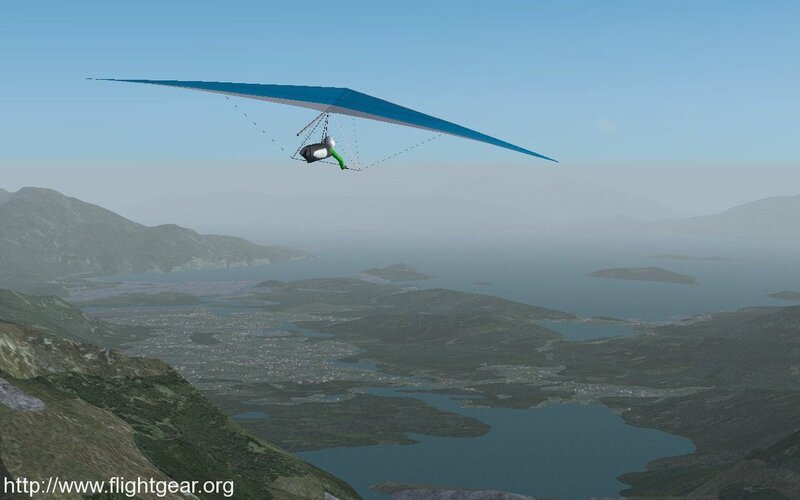 FlightGear is used all over the world by desktop flight simulator enthusiasts, for University research and education, for a variety of aerospace engineering and visualization work in industry, and even for interactive exhibits in museums. 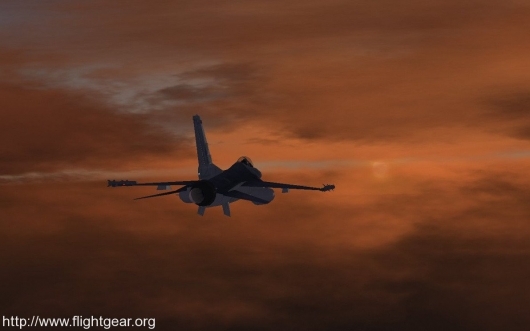 FlightGear features more than 400 aircraft, a worldwide seamless scenery database, a multi-player environment, detailed sky modelling, a flexible and open aircraft modelling system, varied networking options, multiple display support, a powerful scripting language, and an open architecture. Best of all, being open-source, the simulator is owned by the community and everyone is encouraged to contribute. A French partial translation of The FlightGear Manual is now available. See our bugtracker for an extensive list of the bugs fixed in this release. Thanks so much, FlightGear is awesome! Even though I have X-Plane, I keep coming back to FlightGear because of it’s simplicity yet flexibility. nice work folks.Thanks for your hard work! Good work dear team…great simulator, why not multiscreen ?..thanks for sharing ! Thank you for a very realistic sim! I use it daily to keep up my glider training. Hello Flightgear team, first of all come to thank you for making a simulator so realistic and open source like that, Flightgear is the way to perfection, even. I will never abandon this simulator. I am Brazilian and Flightgear is very played here in Brazil, I’m 16 next year and begin my career in aviation, and I think what motivated me to it was the Flightgear, and I have no words to express my gratitude to you. Congratulations for 15 years of this great simulator, and the coming of the FG 3.0, 3.2, and many others! Sure, you can fly with just the keyboard if you like. We can also use the mouse as a yoke and that actually works quite well and is typically more precise than your average joystick. L.O.V.E this program and the simulator sooooooo much. Thank guys for the initiative and for making it free, imagine an African child whose parents cant bring a good meal to the table to be able to fly on a wacky PC quite realistically. Will be 2.8 available for OSX 10.5 ? Unfortunately we were not able to include support for OSX 10.5 and simultaneously support 10.6, 10.7, and 10.8. Thank for putting out the 2.8 mac version but please upload the 2.8 torrent for mac. Thanks! We have put in a request to get the torrent set up for the Mac download. MacOSX update: there is still no dmg ready, but we have been making progress. It turns out there were a few more issues after the first issues were solved that are still affecting OSX-10.6. We are still working hard to get version 2.8.0 ready for the Mac, thanks for your patience! thank you guys for working so hard on this! i can’t wait to play on my mac! is there a timetable for when 2.8 will be ready for mac?? thank you! Standing by for Cloud shadow support. The bit torrent links are now being updated. If you are a MacOSX 10.6.x user, please look for an updated FlightGear-2.8.0.1.dmg package which we hope to roll out later today. Hi there Curt O. Just a quick check to see if there has been a new Mac version released yet ? I love this sim and it’s the only one I can run on this Macbook Pro and would love to have the updated version too if it’s out ? Keep up the GREAT work too, it’s one awesome sim. Wow! Great news. Thank you guys! As get as real! 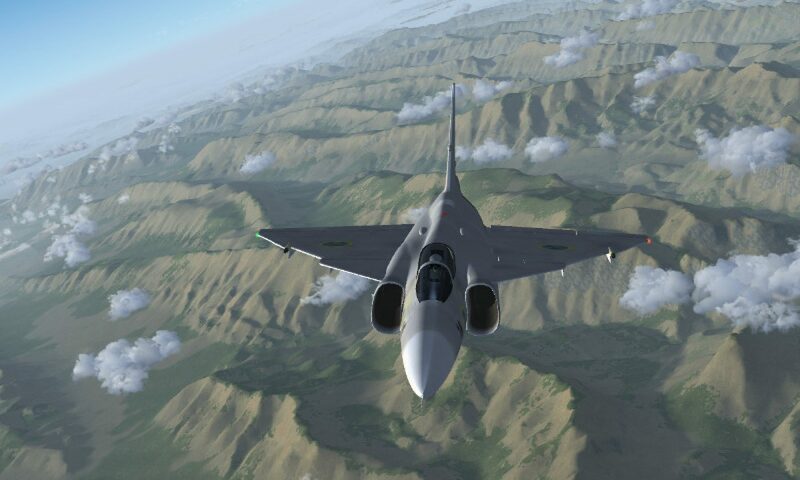 Awesome, I’ll Congrats for your 15th Anniversary; very good for your Flightsim, is now are equivalent for Microsoft Flight Simulator 2004 such as: Aircraft realism, Mesh Realism, etc. I hope you have compatibility of aircraft for FSX or FS9, and the possibilities for extracting terrain maps of the terrain mesh from disks from Microsoft Flight Simulator 2004 and 2007 (aka Flight Simulator X). And to go forward to get to version 3, the possibility of extracting “Terrain Mesh” from disks FS2004 and FSX, possibility of placing aircraft created by FS2004 and FSX. Congratulations on your 15 years! The torrent links for 2.8 still point to the page of 2.6. Sorry for the delay on getting the torrents updated for 2.8. We are working on getting those setup today (Monday). There has been some amazing improvements since a couple of years and the future development of the project looks very exciting … Thanks for the great work! I just wanna say that I love you guys, and all the great things that you’re making with FG. It’s such a pleasure to fly. Activating the Local Weather and project Rembrandt gives such a realistic feel to the flight. Great, just great! Thank you a lot! I am running on mac and am having troubles starting a flight, i press start flight and nothing happens, i am reinstalling it, are there any suggests on what to do? We respectfully request that support questions be asked on our forum (http://www.flightgear.org/forums/). That is a much better place for you to post the details of your system, the steps you have tried, and interact with other experienced users and developers. The forum has a ton of regular visitors and is specifically designed for question/reply interactions where as the web site here is more appropriate for short/simple comments. Thanks!